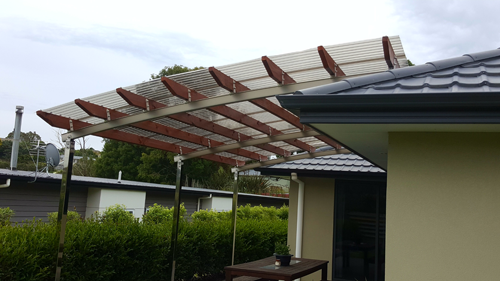 Add the most value to your property with our Superior Quality Rotogola Unique Shelters. 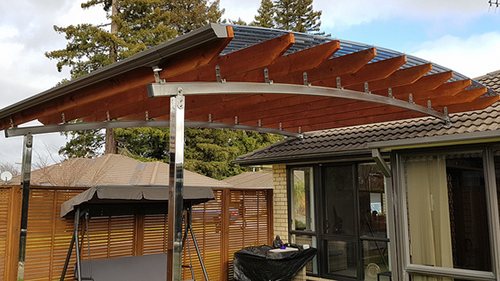 Protect your assets, Motorhomes, Boats, Cars or simply create a wonderful outdoor living area for you and your family to enjoy those family gatherings around the BBQ without worrying about the weather. If you wish to transform your outdoor area or shelter your precious assets and add the highest additional value to your property with a second to none high quality stainless steel and timber product at an unbelievably low price for a 100% NZ Made Top Quality Shelter, then look no further than ”Rotogola Elite Outdoor Shelters” to supply you with the product that you will be proud of and be the envy of your friends and family! Have those special family/friend occasions around the BBQ covered by a long lasting quality product that gives you the feeling of space, light and fantastic air flow! 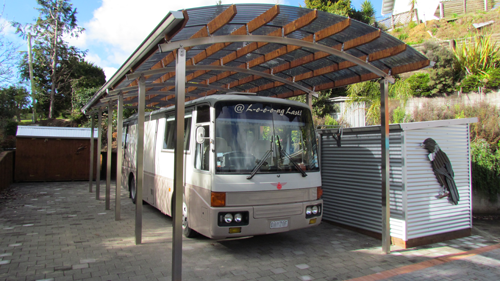 Cover your treasured asset, like your Boat, Caravan or Motorhome to be protected from the elements and cut out the UV with NZ’s premium Laserlite 2000+ Polycarbonate roofing, cutting out 99.9% of those damaging UV’s! We have our standard Kitset packages available however we can also build up a custom kitset to suit your specific needs.